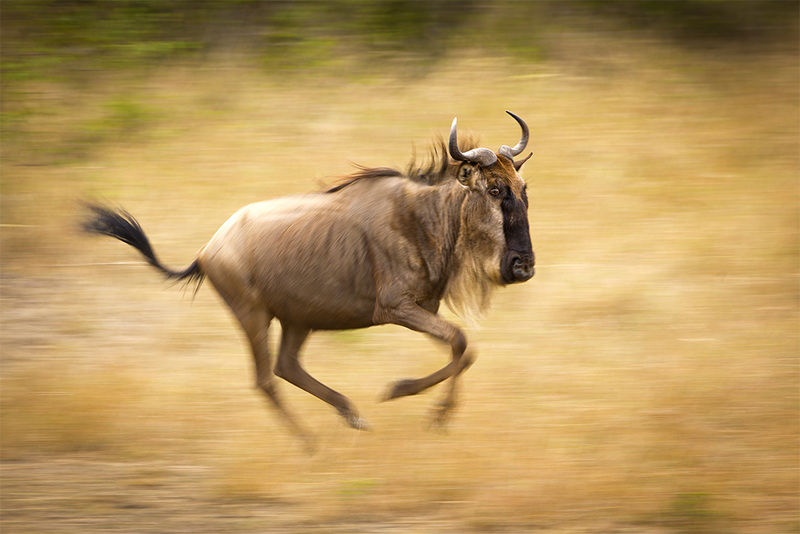 The Wildebeest of Eastern Africa are constantly on the move. Their annual journey takes them on an 1800 mile, clockwise, migration across the mighty Serengeti plain. Born to run, baby Wildebeest are able to run beside their mothers just minutes after birth. Their numbers are staggering, with an estimated 1.5 millon Wildebeest and 300,000 Zebra searching for water and fresh grasslands. Two rivers stand in their way, the Grumeti River in Tanzania, and the Mara River in Kenya. Only the strong survive as these rivers are filled with Crocodiles waiting for the young and weak to wander into their grasp. It is estimated that 250,000 Wildebeest do not make this annual journey.